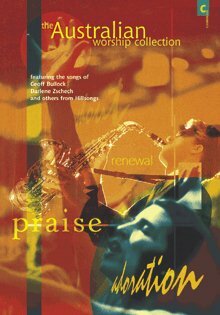 The Australian Worship Collection : 'C' Instruments: Featuring the Songs of Geoff Bullock, Darlene Zschech and Others from Hillsong by Helen Goodall;Christopher Norton was published by Kevin Mayhew in November 1998 and is our 32652nd best seller. The ISBN for The Australian Worship Collection : 'C' Instruments: Featuring the Songs of Geoff Bullock, Darlene Zschech and Others from Hillsong is 9781840032741. Be the first to review The Australian Worship Collection : 'C' Instruments: Featuring the Songs of Geoff Bullock, Darlene Zschech and Others from Hillsong! Got a question? No problem! Just click here to ask us about The Australian Worship Collection : 'C' Instruments: Featuring the Songs of Geoff Bullock, Darlene Zschech and Others from Hillsong.